Forget the past, Don't worry about the future, Live in the moment... This is Zen Dog. 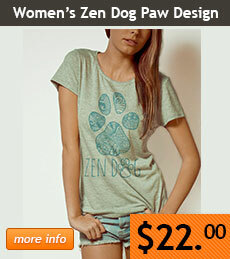 We are designers of truly unique dog sport t-shirts and purveyors of functional and casual clothing for all disciplines of dog sport. We strive to manufacture clothing that not only stands up to the rigors of training, but is as much at home on the training field as it is on the street. Thank you for visiting our site, and please do not hesitate to contact us with any questions. 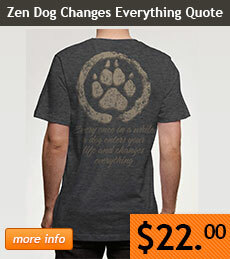 © Zen Dog • All Rights Reserved • Terms • Privacy • Returns • Sitemap • Built with Volusion.